As I mentioned yesterday, we got a lot of catching up to do. So much has happened in the last week. Some of what has transpired is actually quite good. The role of a public policy advocate is often one that is fraught with disappointment. It takes a lot energy and a lot of belief to move the mountain even slightly. You often go months believing that your actions have little impact. Then you get a win. A win that makes you realize and believe anew how important this work is. Over the summer of 2016, MNPS tested schools’ drinking water for lead. They did so on their own volition and for that should be commended. That’s where the accolades stop. After the results came in, they did nothing. They didn’t share the results and they didn’t take action to address the situation at schools with high quantities of lead found in their water. It wasn’t until the Spring of 2017 that they shared the information with building principals. Mind you, I said shared, not gave a direction of action. It was more of a, “Hey, you might find this interesting” thing as opposed to a, “Oh lord, we have to fix this” kind of thing. Luckily, Phil Williams of Channel 5 News got a hold of the report and thus began a year-long crusade to force the district to take action. A crusade that there never should have been a need to undertake. Williams’s first report was so damning that it should have been an instant call to action. Instead the District decided to congratulate themselves on the initiative to test, all the while failing to recognize the need for a follow-up. A campaign to spread half-truths and misinformation was undertaken and minimal steps at correction were pursued. Over the year, Williams produced multiple stories. MNPS’s reaction was always the same: “We are doing the best we can,” “filters don’t really work,” “We are studying the situation.” They trotted out the worst trope – our levels are below EPA suggested levels – so often they might have actually believed it. One more time – for clarification purposes – the EPA levels are indicators of a need for a corrective action, not an indicator of safe levels of lead. There is no safe level of lead. Chris Henson should have to get that tattooed on his forearm. Earlier this week, Board Chair Anna Shepherd took exception to my criticism of her leadership over the past two years. Going as far as to declare our friendship over. I’d like to point out that while MNPS students were exposed to high levels of lead in their drinking water, the board, under her leadership, never had a meaningful public conversation about how we could protect our kids or even about the level of risk they were exposed to. Instead, there was one perfunctory discussion where Dr. Joseph and Chris Henson said everything was all right, the board drank their Kool-Aid, and everybody said, “Okay.” Note to Anna Shepherd: friends don’t expose friends’ families to harmful toxins, especially without acknowledgement. Luckily, Phil Williams didn’t drink his glass of Kool-Aid, and on this past Monday, Mayor Briley made an announcement that should be met with deep gratitude by all MNPS parents. MNPS will stop using a controversial technique, pre-stagnation flushing, for testing of toxic lead levels. “You know, you’ve got to applaud people for doing the testing, but frankly those results need to be thrown right in the garbage,” said Professor Marc Edwards of Virginia Tech, an expert who has studied Flint’s water crisis extensively. Briley’s plan calls for random sampling of 10 percent of all drinking and food prep outlets every year and aims to keep levels under 5 parts per billion. Levels considerably lower than the 155 ppb that MNPS previously found acceptable. Mayor Briley deserves a standing ovation for this action. What makes it even more remarkable is that initially he wasn’t convinced that there was more that MNPS could do. He felt that they were adequately addressing the problem. But then he did what all of us should do, he sat down with experts and listened to what they had to say. Then he did the right thing. That’s what leadership does. Thank God Williams doggedly pursued this issue. The print press certainly didn’t have much to say. The Tennessean published one article that talked about MNPS’s plans to test water with little mention of the high levels already found in drinking water. They wrote one more report when an MNPS official was caught on tape discussing plans to bypass water filters. In that piece, then-MNPS public information officer Michelle Michaud was quoted as saying, “We are committed to making sure that the water quality in our schools is as good as it can be.” The Tennessean never checked that and apparently Briley disagreed with her and MNPS. Two years ago, the Tennessean took a very vested interest in the selection of the next Director of Schools. Editor David Plazas wrote multiple editorials extolling the selection process. When school board members veered away from the endorsed path of the Tennessean, they were quickly slapped back in place. None of that should have been permitted and all of it should have raised eyebrows. To be fair, for some it did, including me. The point is, that by allowing itself to get as enmeshed with the process of selection as they did, the Tennessean has become invested in the success of a candidate instead of the success of a system. It would seem that the two are the same, but when the candidate is underperforming, and you actively work to protect him, the system can’t improve. It should be immaterial who the director is because we are focused on outcomes, not personalities. In just the last two months, the Tennessean has failed to give coverage to a director’s evaluation where some board members were highly critical of the director, in-depth coverage of recently released TNReady scores, and lawsuits accusing district leadership of covering up sexual misconduct. Fairly large stories, I would say. Though I should mention that they put out a press release touting the director’s letter on sexual harassment. I always say that if you fail to give people a true narrative, they will invent their own and invariably it will be negative. Case in point is the recent resignation of Smith Springs Principal Lance High. Before we go any further, I’m going to state for the record that I have a great deal of affection for Lance. I truly hate the pain that he and his family are feeling right now and pray that they will find the healing they need. That said, nothing sets the rumor mill afire faster than an abrupt resignation in the midst of district wide allegations of sexual misconduct. Right or wrong, it fuels speculation. In an effort to dampen rumor, and hopefully move the conversation forward so that the High family can get to the healing, here’s what I know and feel comfortable sharing. 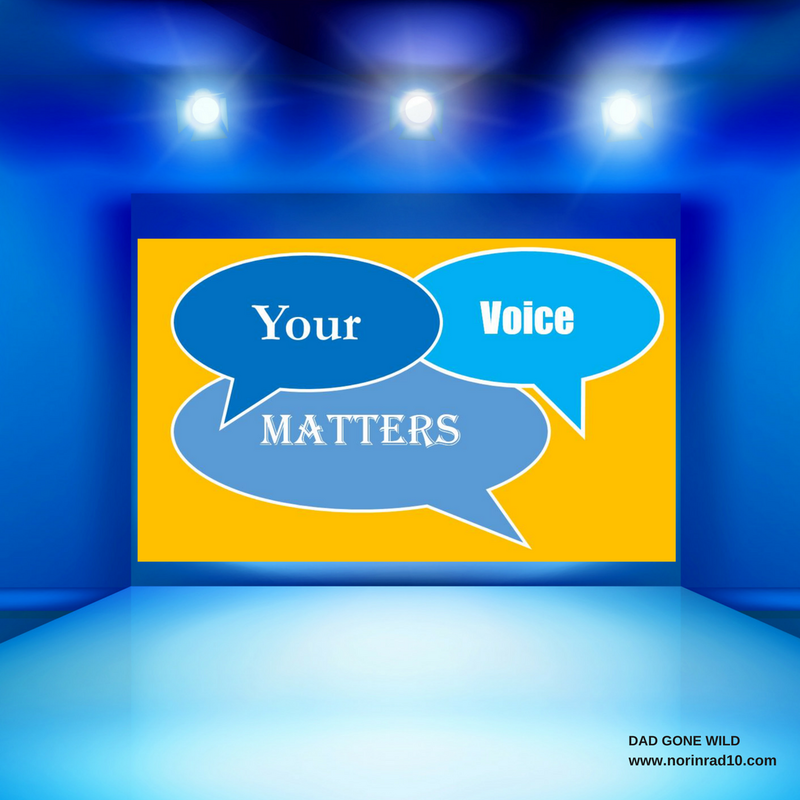 By his own admission, Lance suffered intense trauma as a child, that trauma has impacted his ability to navigate adult relationships, and at times has led to questionable actions. He and his family are taking steps to address those issues. I have seen no evidence that at any time his actions potentially put kids at risk. I would ask that people put aside speculation on the past, and instead focus on helping new leadership pull that school together and continue embarking upon what appears to be the beginning of the best year ever. There are a lot of talented educators at Smith Springs and those families are in good hands. I believe Lance has a strong support system and they will help lead him out of this crisis. It’s not going to easy for either, and everyone will need our prayers. TC, I am really disappointed at the pass you have given Dr. High for his inappropriate behavior. He sends a conveniently timed email about his abuse as a 4-year-old and his behavior “didn’t directly impact kids”, as you state, and he gets a total pass. We’re supposed to feel sorry for him? By your logic, we should also give a pass to Dr. Braden because his behavior also didn’t “directly impact kids”. What if he was abused, too, as a 4-year-old and just hasn’t made it conveniently public like Dr. High has done. Does he, too, get a pass on his behavior? I’m disappointed that you did not call this out for what it is. Blatant, unwanted sexual advances towards a subordinate and outright sexual harassment. Dr. High has faced his day in the public eye for his behavior and his actions have likely damaged every aspect of his life. Let’s not forget what this is, though. It is a pattern of sexual harassment at multiple schools, and the only reason he shared this personal information is because “time is up” and he is trying to gather sympathy votes on his behalf. I am disappointed to see you cast your vote for him. I am sorry that I wasn’t more considerate. By not fully addressing the issues, I was falling into the trap that district leadership is mired in. We are a district that has some very serious issues, compounded by a Human Resources department that feels their primary duty is protecting Dr. Joseph. We have a Director of Schools who is unwilling to lead when we need it most. We have a school board that finds it easier to bury their head than demand action. They’d rather cheerlead and send letters to the TNDOE on testing. In the end we are all failing teachers, students, and families that look to leadership to provide a safe haven to teach and learn. For me, this is a learning experience. If you are going to raise people’s expectations, you owe it to them to live up to those expectations. This blog has become, and will continue to be, a place that strives to tell the truth to the best of my ability. Today I tried to duck that responsibility. Thank you for caring enough for me not to let me. That’s the kind of love MNPS needs. District Leadership met this week with members of the immigrant community. The meeting came about after previous Executive Director Kevin Stacy resigned to take a position in Clarksville, and while previous Number 2 Molly Hegwood was named his replacement, her position was filled by former Paragon Mills Principal Joie Austria. Austria’s tenure at Paragon Mills was not a successful one. Eyebrows were further raised when she was installed at a salary higher, by several thousand dollars, than Hegwood. Where else but MNPS can you make more money than your supervisor? By all accounts, the meeting was successful. Many of the community’s fears were allayed and they were given a sense of priority. There has been a shift as of late to have EL teachers spend more time supporting content teachers. The idea is that EL students are so prevalent that all teachers should have the tools to educate them. Apparently, content teachers were voicing feelings of inadequacies in that area. So it’s good that the district is addressing this concern. I can’t help but wonder, though, if those feelings of inadequacies isn’t a byproduct of the district losing so many veteran teachers and therefore having to construct more supports for younger teachers. We’ll continue watching as things develop, but at this juncture everybody seems pleased with the direction things are going. MNPS teachers be aware, today’s check does not include insurance deductions nor updated sick leave information. That should be on the next check. So don’t get excited and think you got a raise. I nominate early education teachers and fine arts teachers to be in charge of organizing all future protests. Their well-organized actions in regard to portfolio evaluations have produced results. TNEd Report’s Andy Spears has the details. Those teachers are a force to be reckoned with. Blogger Peter Greene has an excellent piece on teacher evaluations this week. Greene points out that “The root problem with the current state of teacher evaluation is that we never had the necessary conversations about what we think it is for.” True dat. Read the whole piece. 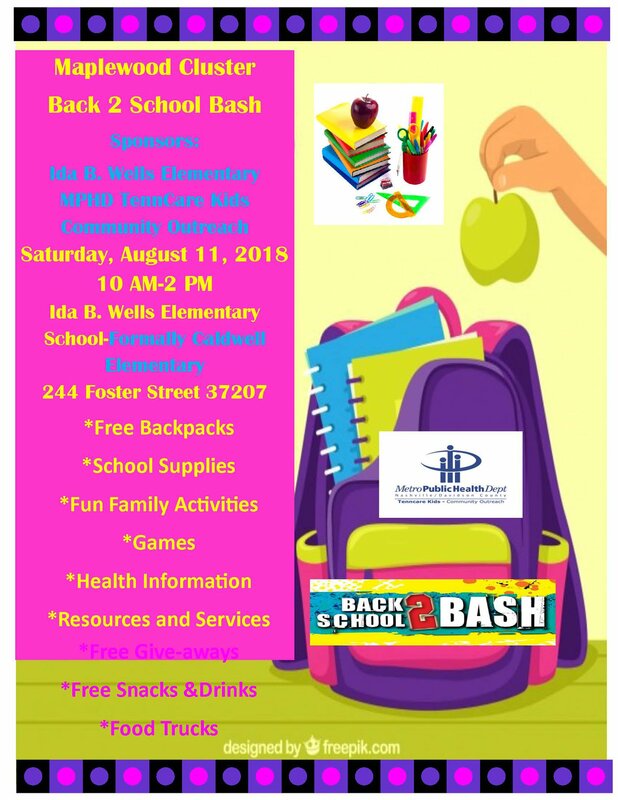 The Maplewood Cluster is hosting a back-to-school event this Saturday, August 11, at Ida B. Wells Elementary School. Interesting article on teacher salaries in Williamson County. Evidence that it’s about more than just the money. As a school board member, I wanted to push creating compensation packages. Packages that might have offered day care at schools, low interest loans for those wishing to purchase homes, health club memberships to places that weren’t across town from their homes. We have to create packages that invest in teachers so they will invest in us. Apparently teachers have been getting emails instructing them to curtail energy costs at school, going so far as to limit the number of appliances they are allowed to plug in. MNPS seems determined to drive home the “we are broke” messaging as deeply as possible. That always inspires the troops. And one more word on testing. This one is from Chattanooga by way of my good friend J.C. Bowman. The jury is still out for me on many of the main characters in this Chalkbeat article about Principal management, but I respect me some Gary Hughes. So I share it with you for your evaluation. I’ve yet to see wide scale evidence that the restructuring of central office has produced improved outcomes, but I’m always open to counter arguments. That should keep you sated for the weekend. Check out the Dad Gone Wild Facebook page. It’s the good news station. If you need to get a hold of me, the email is norinrad10@yahoo.com. Keep sending me your stuff and I’ll share as much as possible. Don’t forget to answer this week’s poll questions. Previous GUESS WHO’S BACK? BACK AGAIN. SHADY’S BACK, TELL A FRIEND. Who is JC Bowman? If he is the head of PET, then he is no friend of teachers. He did everything he could to destroy the teacher’s union and do away with collective bargaining. He did what he could to destroy teacher voice. I blame him for the woeful state of the teaching profession in Tennessee, beginning with our very low pay that doesn’t keep up with the cost of living. I can’t believe this LEAD thing. Its been known for a long time now …and little or nothing has been done.